At November’s InterBEE in Chiba City, Japan, Blackmagic Design announced DaVinci Resolve 15.2, a significant features update to its editing, color correction, visual effects and audio post production software. Editors will appreciate that the editing timeline in the new 15.2 software draws at a higher frame rate. Now you can quickly see if that shot you've been saving has already been used by a collaborator. Click to enlarge. The announcement of new version 15.2 also said “compound clips can now be loaded into the source viewer and edited into the current timeline in their decomposed state”. I wasn’t sure how to interpret the concept of “decompose” so I asked Druss for some elucidation. 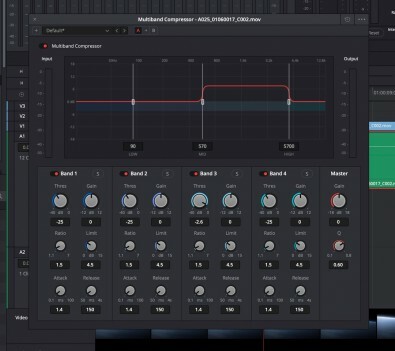 “In the past, you could load a compound clip into the source viewer, but when editing in a chunk of that compound clip in the timeline, you’d get one solid portion of the compound clip,” he replied. It turns out this is all done with supplied keyboard maps. The keyboard shortcut maps include layouts based on Adobe Premiere, Apple Final Cut Pro X, and Avid Media Composer. Being a big fan of keyboard shortcuts, I also like the concept that you can now swap clips in the edit timeline using cmd/ctrl+shift and dragging. Or, you can perform insert and swap edits by holding cmd/ctrl+shift while dragging clips from the media pool or source viewer. This is just one of the myriad audio capabilities of the new 15.2 software. Click to enlarge. Finally, if you watched the video at the head of this article, you might have noticed mention of a “Metadata dictionary”. Druss described its usefulness. Blackmagic Design has spent a lot of time over the past year listening to its customers. 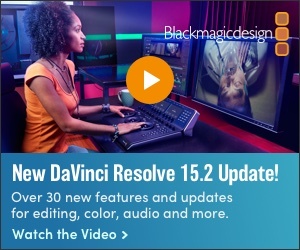 New version 15.2 of DaVinci Resolve is evidence of the result.